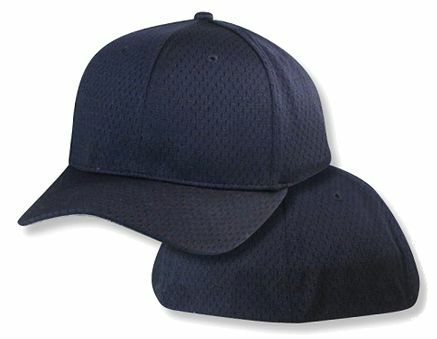 This very dark navy cap gives you the ventilation of a mesh cap while keeping full coverage. I have been ordering these hats for my husband as he has a hard to fit head and he loves them. I have ordered several at a time more than once because he wears them everyday. I bought three hats and have only worn this one. A hat has never fit my head before - I was used to looking like the hat equivalent of Chris Farley singing "fat man in a little coat" while wearing David Spade's coat in Tommy Boy. This hat looks great (or at least i think it does). I can't review the other hats I bought except to say that the time I tried them on, they fit equally perfectly. I love the mesh on this hat - nice and cool but still holds it's shape. 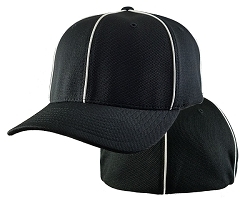 This is a great hat, size and fit are great, lightweight and really made well. Big Head has done it again. I have been using Big Head Caps for years because they fit and look good. The quality of the caps are unsurpassed. I highly recommend them. I ordered this cap and a 305 Big Khaki Mesh Cap to see which one I liked better. While this cap fits really well (and was on sale no less) it doesn't feel quite as comfortable as the 305. Don't get me wrong - there's just a SLIGHT difference, but I will be ordering all 305's in the future. That being said, it is more comfortable than ANY cap I've tried on in stores. I like it, but just happen to like the Mesh Cap better.